Additional Resources for your school or home. In addition to creating Making Fantastic Short Films, Embryo Films is also renowned for developing Screenplay.com.au in an effort to find and develop emerging screenwriters. 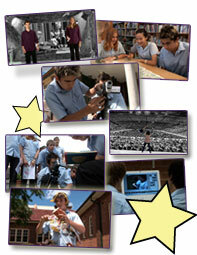 Schools are also encouraged to contact us regarding multi-seat licensing for Movie Magic Screenwriter. This will enable you to set up a computer lab of 5 to 20 (or more) computers to teach screenwriting, one of the most important (and underdeveloped) aspects of filmmaking. 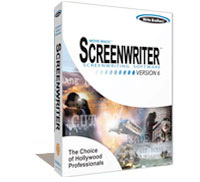 For more information, contact info@screenplay.com.au, and ask about multi-seat licensing of Movie Magic Screenwriter. For help with iMovie 08, we recommend the Apple Training Series: iLife 08 book (ISBN 0-321-50267-1) from Peachpit Press. The book was co-authored (and all iMovie 08 chapters written by) Making Fantastic Short Films' award-winning director/producer Jeff Bollow. We will also be offering an editing software update DVD within the next few months, which will feature lessons in editing using iMovie 08, as well as Windows-based software, including Adobe Premiere, Avid DV Express, and other popular (and free) editing software tools. More resources will be added to this page soon.